Walk for Prems at Albert Park Lake on Sunday 25 October. The walk is the largest annual fundraiser for the Life’s Little Treasures Foundation, Australia’s leading charity dedicated to the families of babies born sick or prior to 37 weeks gestation. On Sunday 25 October people across Australia will walk in support of the 47,748 premature or sick babies born in Australia every year. 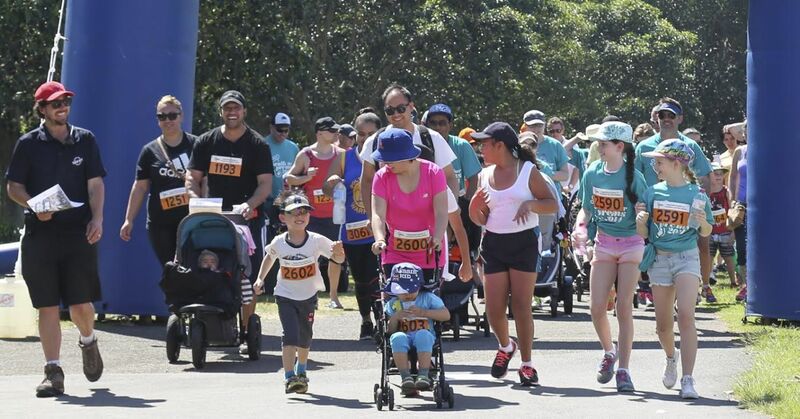 * Walk for Prems is the largest annual fundraiser by the Life’s Little Treasures Foundation, Australia’s leading charity dedicated to the families of babies born sick or prior to 37 weeks gestation. In its sixth year, Walk for Prems will take place simultaneously in Sydney, Melbourne, Brisbane, Perth, Adelaide, Canberra and Launceston. Over past three years, Walk for Prems has raised nearly half a million dollars and the Life’s Little Treasures Foundation hopes to raise $250,000 in 2015. At the beginning of each Walk for Prems event, participants will pause to show their respect for the families whose babies have sadly passed away. The Life’s Little Treasures Foundation honours the memory of the babies with the ceremonial release of white doves. The Life’s Little Treasures Foundation understands that it is not possible for everyone to attend Walk for Prems. Those who live far away or whose baby is still in hospital are able to take part in Walk for Prems by registering for a Hospital and Home Pack. People can sign up for Walk for Prems at www.walkforprems.org.au. Registration costs $25 for adults and $12.50 for children in all cities except Melbourne, where registration is $40 for adults and $20 for children. Hospital and Home Pack entries are available at $30 for adults and $25 for children. Participants are asked to fundraise, either individually or as a team, through their own page on the Walk for Prems website. On Sunday 25 October registrations for Walk for Prems will open at 9.30am in Sydney, Perth, Adelaide, Canberra and Launceston, and at 8.30am in Melbourne and Brisbane. The social walk will begin at 10.30am in all cities except Brisbane, which will start at 9.30am. In Sydney and Melbourne, Walk for Prems participants have the option to take part in a 10km or 5km fun run as well as the social walk.